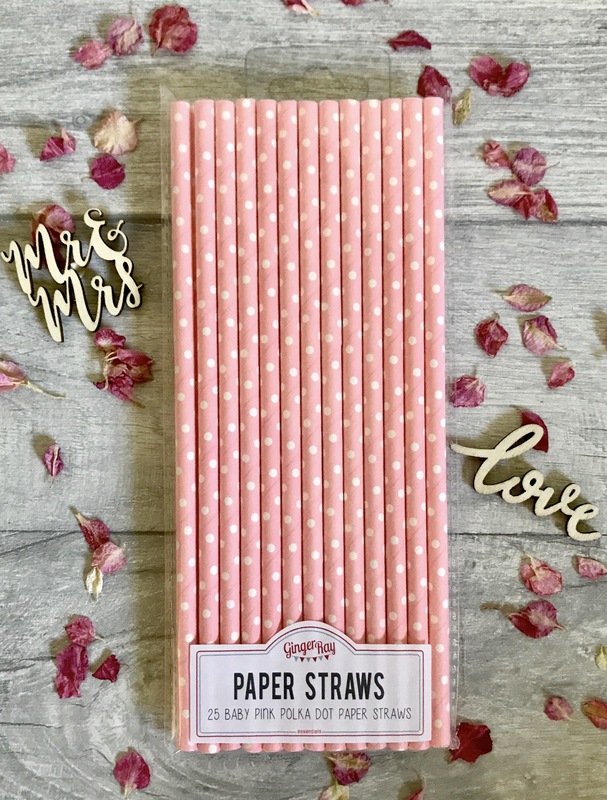 These gorgeous baby pink polka dot paper straws are essential to any hen party or wedding. Go on, add some fun to your drinks! Pack of 25. Each straw is 195mm tall.